Paul Bedford Elwell was born on 7th February, 1853, in Albrighton, the second son of Wolverhampton merchant, Paul Elwell. In the 1881 census his occupation is listed as 'the manager of a works making nails etc., employing 100 hands'. The Commercial Road Premises was rented from the owner; J. Smallman. Elwell founded the Patent Tip and Horseshoe Company in the early 1870s and took out several patents. The first for nail-making machinery was registered in 1876, the second, registered in 1878 was for shoe tips, and the third, registered in 1879, was for Venetian blinds. 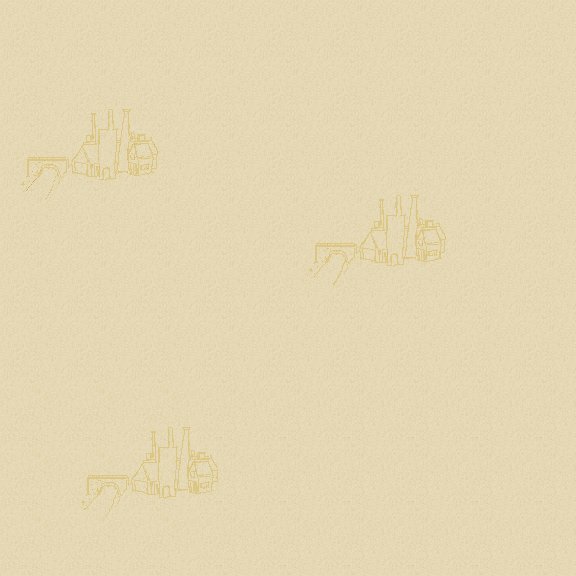 The location of the two factories. Initially the company had premises on the southern side of the Crown Nail Company in Commercial Road, by the side of Commercial Wharf, next to where the power station stands today. 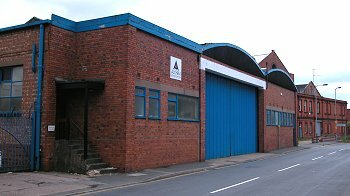 On 17th April 1882 Elwell purchased part of the large factory that stood on the corner of Lower Walsall Street and Commercial Road, on the other side of the Crown Nail Company's works. Further space at the works was acquired on 24th June. In October 1882 the company changed direction when Elwell went into partnership with Thomas Parker to form the first electrical manufacturing business in the midlands. Thomas and his family moved to Wolverhampton from Coalbrookdale, in October 1882. The new company was housed in a corner of the Commercial Road works and Thomas soon added dynamos to his product range. The electrical department staff consisted of Thomas, one of his sons and a man. In 1883, the company designed, built, and installed dynamos and electric lighting for the Trafalgar Collieries in the Forest of Dean. This was the first underground electrical installation in the country, if not in the world. The electrical equipment included a 1.5hp. motor that was attached to a pump to lift water 300 feet from below the surface. An order was also received for dynamos from the Manchester Edison Company, and they were paid a £1,000 in advance. 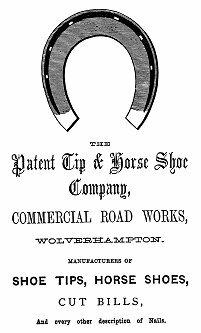 The rapid success of this part of the business overshadowed horseshoe manufacture, which soon ceased; and in 1884 the company became the Wolverhampton Electric Light, Power, Storage and Engineering Company. This name was soon changed to Elwell-Parker, Limited, after an infusion of fresh capital. The electrical workforce soon increased to thirty men and by 1885 the amount of business had increased to such an extent that considerable extensions to the premises were necessary. 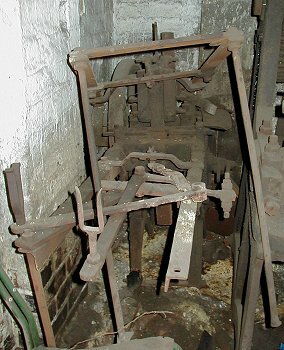 A surviving Elwell nail-making machine. In 1885 Sir William Preece, speaking before the Royal Society of Arts, said that the revival of the electricity industry in this country was due to the efforts and success of Mr. Parker, and writing in the Royal Society of Arts Journal, he praised Mr. Parker for winning a place for Britain in the fast developing electrical industry. In the same year Thomas was made a member of the Institution of Electrical Engineers. One of the first large orders secured by the new company was for the design and construction of the electrical plant for driving the Blackpool Tramway, the first English electric tramway of any size. Thomas developed a system of electro-deposition for the refining of copper and the extraction of gold and silver. 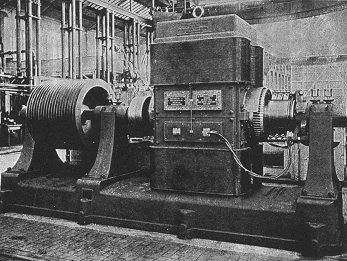 Elwell-Parker made a notable contribution to the electrical purification of copper, when their dynamos were installed at the Bolton Copper works at Oakamoor, and revolutionised the purifying process. In 1886, Nautilus, the first electric- powered submarine, was invented by two Englishmen, Andrew Campbell and James Ash. On the surface it was powered by two internal combustion engines, but when submerged it was propelled by two 50h.p. electric motors. They were powered from a 100 cell Electric Power Storage (E.P.S.) battery, which could power the submarine for as long as four hours, before recharging was necessary. In 1887 the submarine was fitted with an Elwell-Parker E.P.S. battery. A large Elwell-Parker dynamo. In between 1884 and 1887 Elwell and Parker took out no less than 14 patents for electrical equipment, either jointly or separately. Some of their other electrical installations included Lloyd's offices in the Royal Exchange, and Manchester Central Station. The "Electrician" for 28th January, 1887, stated that "Messrs. Elwell-Parker have rapidly come to the front rank of electrical engineers, and their dynamos and motors are being widely used". Thomas designed and built multi-phase alternators with a stationary armature and a revolving field of the salient type. Salient poles were built-up from steel stampings, either bolted or dovetailed to a frame. This type of design proved to be very successful and was used for many years. The location of the works next to the power station. In 1887 Paul Bedford Elwell left the company and went to Paris to prepare plans for the Paris underground electric railway. He was later responsible for the electrification of the Sydney tramways and died there on 10th September, 1899, aged only 46. In 1887 Thomas Parker developed a process for the production of phosphorus, and chlorate of soda, by electricity, which greatly reduced the manufacturing costs. The company also manufactured alternators and supplied their generating equipment to Eastbourne, Melbourne, South America, New Zealand, India, and many other locations throughout the world. Orders increased, and in 1887 the decision was taken to build a large new works at Bushbury, on the outskirts of the town. Land was acquired in Showell Road, but the project was delayed because of the death of Mr. Charles Moseley, the company’s Chairman, in October 1887. 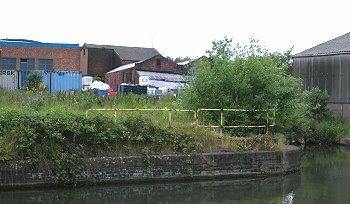 A view of the Elwell-Parker site from the canal. On the right is what remains of Commercial Wharf. An order was received from the Birmingham Tramways Company, for the design and construction of a prototype electric tram, to run on their existing steam operated system. It was decided that the tram must be self-powered, as overhead wires were considered to be unsightly. A battery-powered prototype was built and successfully tested at Birmingham, on 7th November, 1888. It was an instant success and Elwell-Parker expected further orders. By 1889 the company had 400 employees, and the works operated both day and night. In 1889 a large syndicate was formed to manufacture electrical equipment of the type already made by Elwell-Parker. The syndicate founded the Electric Construction Corporation, Limited and purchased a number of prominent manufacturing companies to form the new corporation. Thomas Parker was invited to London in 1888, to meet Mr. Balfour, from the Corporation, regarding the purchase of Elwell-Parker, Limited. Terms were agreed and Elwell-Parker, Limited was absorbed into the new concern, as from 30th September, 1888. On 16th June, 1890 the factory on the corner of Commercial Road and Lower Walsall Street was sold to the Electric Construction Corporation. Presumably the E.C.C. continued to use the works for some time, as the factory remained in the company's ownership until 12th March, 1895 when the buildings were sold to Thomas Brotherton and Francis Simms. It is also likely that the E.C.C. continued to use the other factory in Commercial Road, at least until their works at Bushbury were in operation.